Following the closing of The Aquarium in April of 1923, James Allison still had plenty to keep him busy. While technically retired, Allison still operated Allison Engineering and ran the Indianapolis 500. He traveled frequently between Miami Beach and Indianapolis. The stress of Allison’s approach toward “retirement” did not help improve his battle with bad health. Allison had his first heart attack at the age of 41 in the March of 1914. During a trip back from Florida to Indianapolis in 1921, Allison was hospitalized with bronchial pneumonia. By the spring of 1923, Allison’s health was beginning to worsen. In August, he was hospitalized for sinus surgery which put further strain on his heart. He was anxious to get back to Florida in September and he was once again hospitalized in Fort Lauderdale for another heart attack. Once Allison regained his strength, he reflected on his experiences and was very much affected by the white sterile and impersonal environment of the typical hospital. He was a very active person who enjoyed the outdoors and felt that hospitals hindered, rather than lifted, a patient’s road to recovery. 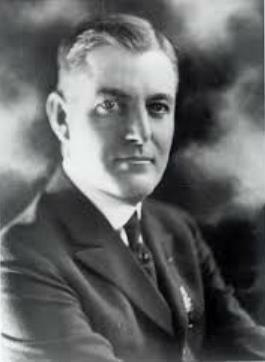 Allison approached Carl Fisher with an idea of creating a world class hospital that would cater to the wealthy who were building their winter homes in Miami Beach. 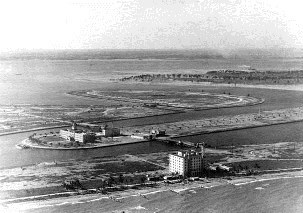 At the beginning of 1924, if any Miami Beach resident needed a hospital, they would have to be taken over to the mainland. Allison’s next project was under way by the fall of 1924. As soon as Fisher heard Allison’s idea, he thought that a world class hospital would be another draw to Miami Beach for the wealthy. 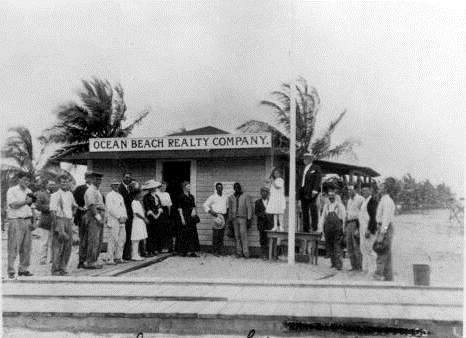 J.C. Penny (Retail), James Snowden (a wealthy oilman), Clarence Busch (Busch Brewery), Harvey Firestone and Arthur Newby all had homes on Miami Beach by the beginning of 1925. This time period was one of Miami’s and Miami Beach’s many building booms. Fisher was enthusiastically on board with the idea. 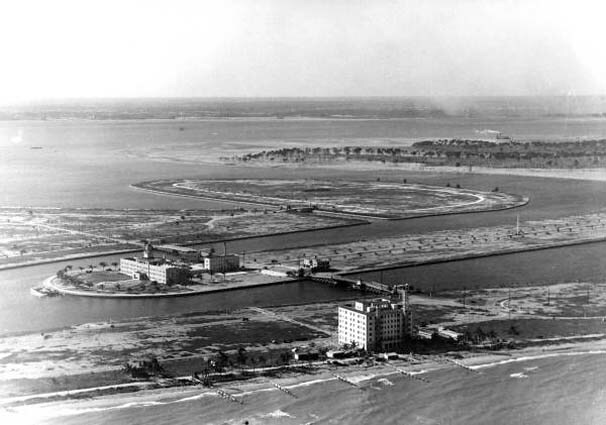 He immediately donated eight and one half acres on the southern tip of a man-made island he called Allison Island. Allison hired August Geiger to design the hospital. 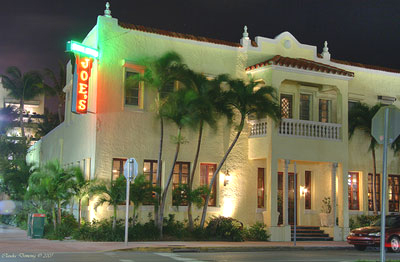 Geiger, who had located in Miami by 1905, was one of the many great architects in Miami and Miami Beach’s history. He not only designed Carl Fisher’s Lincoln Hotel, but also designed Carl Fisher’s Miami Beach home and Allison’s Star Island home. The three story Spanish style building was designed to avoid looking like the sterile, white atmosphere of the typical hospital. The walls of the first floor and the patient rooms were painted a pale cream color and the operating rooms were painted a pale green color. There were elevators that went to the roof to provide a view of the ocean. Also, part of the complex were a separate laundry and nurses residents. As the plans progressed, Allison’s vision expanded to include a world class health center. Carl Fisher was less enthusiastic about the expanding vision. Fisher was concerned that the health resort would not be self-sufficient financially. While there were shortages of both supplies and labor in 1925, Allison Hospital was able to open on January 1st in 1926. The cost of the hospital was roughly $3.6 million. When it opened, there were fifteen patients and nine staff doctors. Allison hired a French chef from the Waldorf Astoria in New York. It was so opulent, that all meals were served on fine china and the flatware was sterling silver. Upon its opening, it developed a reputation as one of the finest hospitals in the world. However, just like The Aquarium, the timing of the opening of the hospital was terrible. After the opening of Allison Hospital, the first of several events ended the building boom of the mid-1920s. Resources to support the building boom were already in high demand and short supply. On January 11th, 1926, the Prinz Valdemar, a large sailing ship, overturned at the turning basin of Biscayne Bay. The overturned vessel blocked the import of materials into the port that were needed to continue the building boom. Ironically, the Prinz Valdemar was later lifted out of the bay and placed on land in downtown Miami to be retrofit into a tourist attraction that featured an aquarium. This would have been Miami’s first aquarium since the closing of Allison’s Aquarium on Miami Beach. The blockage of the port led to a shortage of materials and an increase in the cost of construction. This led to higher prices and the end of real estate speculation. The rapid growth period of Miami and Miami Beach was winding down. To further complicate matters, a massive hurricane in September of 1926 shut down what was left of a thriving economy in South Florida. Many believe that the damage done by this hurricane, and a subsequent hurricane on October 20th of 1926, represented the beginning of the great depression for South Floridians. Given the changing circumstances, it didn’t take long for Allison to realize that the economics of his vision were not practical. He approached a sanitarium to take over the hospital. When negotiations failed, his Florida bookkeeper, Joe Lazry, suggested he speak to the priest of St. Patricks Church, William Barry. Father Barry had suggested that Allison speak with the Sisters of St Francis in Allegany, New York. They had experience running hospitals in the north. Allison spoke with the sisters, but following their discussion he had held out hope to run the luxury hospital himself. Miami News Ad – Allison Hospital Closes for Summer. 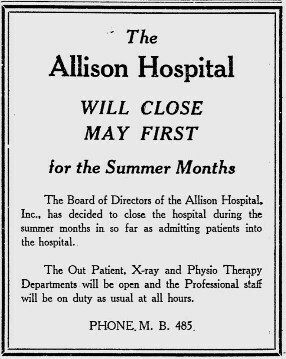 As 1927 progressed, financial considerations forced Allison to shut down the hospital during the summer. An ad in the Miami News in the spring of 1927 announced the closing of the hospital on May 1st for the summer months. At the same time, Allison’s health began to deteriorate further. By the summer and fall of 1927, he was confined to a wheel chair and was using narcotics for pain. Reluctantly, in October of 1927, Allison signed a contract with the sisters to run the hospital. Allison immediately regretted the decision. The sisters put in cost controls, including the use of paper napkins and the firing of five landscape gardeners. There was continuing conflict between Allison and the sisters. Allison decided he was not going to renew the contract with the sisters, but prior to the end of the initial term of the contract, Allison passed away. James Allison had decided to divorce his wife in April of 1928. Allison had gotten involved with his secretary, Lucille Mussett, and decided he needed to make a big change. On July 31st in 1928, James and married Lucille in a small ceremony at Carl Fisher’s home at Montauk Point. The next day James caught a cold. As he and Lucille began their honeymoon, his cold had gotten much worse and he decided to head back to Indianapolis. He began to get progressively worse and his illness developed into pneumonia. Within a few days of getting married, James Allison died on August 3rd, 1928 at the age of 56. Given the untimely death of James Allison, the fate of Allison Hospital was left in the hands of the sisters of St. Francis. The sisters purchased the hospital for $250,000 on March 30th in 1929. The sisters ran the hospital from 1929 until the sale of the property in 1992 to a developer. Considering what the sisters had paid for the hospital, the land was getting too valuable to continue to use as the location of an aging hospital. The eight and half acres of waterfront land sold for $12 million. Just like many historic structures on Miami Beach, the value of the land exceeded the utility of the building that resided on that land. Miami Beach was to lose another historic landmark in the name of progress. A few years after the sale of the land, the August Geiger designed hospital building was demolished. The land was ultimately purchased by a real estate company called Dacra. The CEO of Dacra, Craig Robbins, had coveted the water-front land for a number of years. Years after the land was cleared, Dacra built a set of mid-rise buildings for town homes based on a design known as New Urbanism. The development is called Aqua. The project was started in 2001 and completed in 2003. Ironically, Robbins was born in the hospital that resided on the eight and a half acres of land where Aqua resides today. Miami News: “Beach Hospital Will Be Rushed To Completion”, November 24th, 1924. Miami News: “Beach Hospital Will Pass To Sisters’ Hands”, March 27th, 1929. 24 Comments on "Allison Island and St. Francis Hospital"
I enjoyed the St. Francis article, particularly as I was born there. I always tell people I was born in Miami but then I think “Beach”. As to James Allison and his ties to Indianapolis – was he related to the Donnie and Bobbie Allison and family of racing fame. They lived in Miami and My husband told me they and a bunch of his friends used to all meet out at Krome Avenue and race their cars. Later, they moved to dirt track racing and then to Hialeah Speedway. One of my husband’s friends, Bobby Sundman – would have been in trouble if his mother had known he was racing so he would borrow Bobby Allison’s car and run races under the assumed name of Bobby Sunderman. I am sad to know that the hospital that I was born in is gone. Never got to see it. I’m so grateful for the care I received in the 80’s. I was very ill and very fortunate to be here. The staff were like angels and so was my elderly room mate. St. Francis and St. Anthony of Padua are my favorite saints. They always intercede when I ask. Thank you again. I was also born there, and my grandmother, Maureen Paterson, was an RN there when I was born, and retired from there. I still have one of her nurse hats. This is so cool! I am so sorry, I just got back to this page…and saw your message. I also have a picture of that day when she retired. She was a very good person….I loved her so much. I was named after her, and mother told me she carried me around doing her charts when I was born there. I hope you are well, and it was so good to find someone that knew her. Take care…. I started my nursing career at St. Francis after graduation from Mercy St. Lawrence School of Nursing Sept. 1957 in Lansing, Michigan at 20 years old. I went with a friend I met at the Hospital I was working at and the new adventure began. I worked OB Labor and Delivery and ER for awhile after OB. Myself and 6 other nurses lived in an apt. right over the bridge and walked to work 3-11 shifts. Spent the days on the beach across the street and at the Hotels where the Beach Boys worked. We had quite a group. I just returned from Fl. yesterday after about 25 years and tried to find the Hospital and the Apt. Bldg. and it was all GONE. I didn’t recognize anything. In 1959 I moved to Santa Monica, Calif. where I have been ever since. I am so glad I found this Web site and found out what happened to the Hospital and also the History of it. Thank You. Bev Gerkin Anderson. I bet you knew my grandmother! I was born there in 1960..her name was Maureen Paterson. I also was born at St. Francis Hospital, and my grandmother was an RN there, and retired there! She was there at least 25 years. I was born at St. Francis Hospital December of 1946 . My parents lived in the Allapatah area of Miami and my father delivered mail on a couple of the Islands on Miami Beach. Don’t know how I ended up being born at St. Francis but glad I did. I wish the hospital was still there. I didn’t know about the history of the hospital till I read about it tonight. I found a document today that my mother had saved from St Francis when I was discharged. I was there for seven days and they charged $8.00 per day for a total of $56.00 for the room , $5.00 for baby delivered in bed , $5.00 for oxygen for ten hours at $.50 per hour, misc charges another $12.80 for a total of $78.80. Prices have increased a bit since then , but then it has been seventy years. My late aunt, Sr. Mary Robert (Barbara Guy) worked in surgery at St. Francis Hospital. I visited her there twice in the sixties and the atmosphere was so warm and friendly. I tried to find the hospital about five years ago and searched for the large white illuminated cross that was like a beacon on top of the hospital. Then heard the land and building had, unfortunately, been sold. I was moving to Miami in 1995 to live with a friend and his mom. (This was before the days of cell phones). On my drive from Missouri, my friend moved back to Chicago. His mother told me it would feel strange for me to stay at her house, so I should reach out to a pastor she knew at Miami Shores Christian Church to find a place to stay. Pastor Garcia said I could stay in their Missionary room, which was really a closet! The next morning, Pastor woke me up and asked how long I planned to stay in Miami. I said, I don’t know because I have no place to stay. He said, “I was just contacted about a home that is being vacated and they need someone to watch it until the sale closes.” I said I would take a look at it and decide. 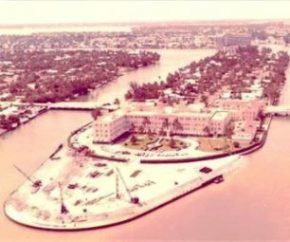 That home was the St. Francis Convent across the intracoastal from the hospital! I took the offer. Here I was, a single 25 year old man living in a 26 bedroom house on the beach for 2 years! It was an answer to my prayers, so I was honored to be the last caretaker of that place. I loved that hospital as I spent time there working in the lab. I was training a as a Med. Tech. and remember all the wonderful people there especially, Dr. Puente Duany, Dr. Calderon, Dr. Figueroa, Father Barry, Sister Evelyn, Faye, Evelyn from Pennsylvania,and so many more whose names I am having trouble remembering after all of these year. It was such a beautiful place, so sorry to hear that it is gone. I was born at Saint Francis Hospital in 1963. Today I looked it up because it is my 55th birthday. I find history amazing! Hello Bobby do you remember the names of the doctors who delivered babies in 1963? Born in Miami Beach 1959 and was adopted. Wondering if only hospital in Miami Beach at that time. I am not sure how many hospitals were on Miami Beach in 1959, but I do know that Mount Sinai Hospital opened in 1949, so it was around in 1959. I know this is a long shot but I was born there on 11/30/1959. My given name was Jackie Chiccarelli. I was adopted from The Florida Methodist Children’s Home in 1965. I have just learned, after my adoptive parents passed that I have an older biological sister and my grandmother’s last name is Alexander. I am hoping to find my sister. I was born here in 1959. The Dr who delivered me was named Maurice Rose (according to his signature on my birth certificate). I grew up in the Philadelphia area from the time I was 6 months old and never returned to Florida until 1977 when I was in the Marines and was stationed at Key West NAS. I’ve recently (2012) moved back to Florida and now am retired here on the Southwest coast. Thank you for sharing your story, Bill. There are many Miami history enthusiasts that have fond memories of St Francis Hospital. Thanks for sharing!